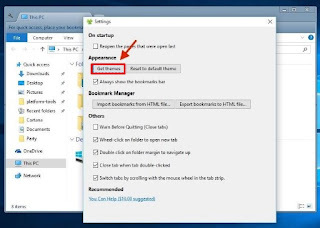 Do you know that you can have a tabbed search results in Windows 10 File Explorer and even have it customized to make it look like the UI of Google chrome? The screenshot after the advert below is a demo of what the tab display looks like. Download and Install Clover 3 for free. After downloading the ZIP file, extract and install. 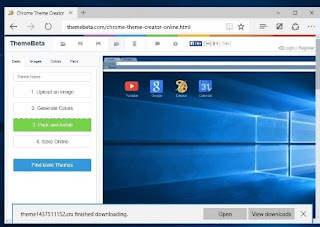 Go to Online Google Chrome Theme Creator to Create a theme for your file explorer using Google Chrome. On the site you can also upload a picture that will be automatically used to generate various theme suggestions for you. 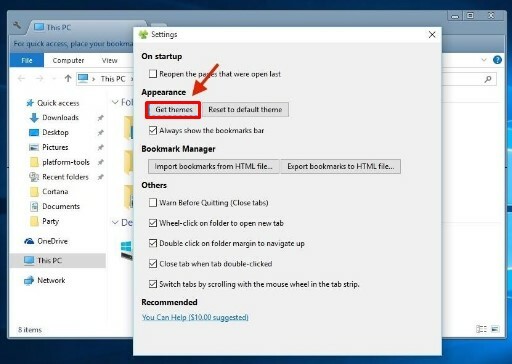 Pack and Install the Theme and the file will also download to your computer as a .CRX File. Click on Get Themes and select the theme you downloaded earlier. Open your Windows 10 File explorer to see your improved windows 10 file explorer. If this post was helpful, Share it!